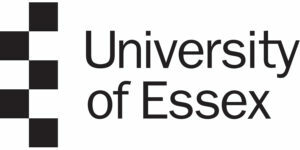 The University of Essex invites application for the position of Lecturer in Literature specialising in the long 18th century and Romanticism. The Department of Literature, Film, and Theatre Studies was founded by the poet Donald Davie in 1964 and is one of the original departments of the University of Essex. Davie's vision for literature was a department which poetically and experimentally brought together the disparate, stressing the interdisciplinary and the comparative. Theory and practice across a range of disciplines from creative writing to theatre, literature, filmmaking and journalism thrive alongside each other. In the 21st century, LiFTS continues to be multi-disciplinary, flexible, radical and innovative, in its research and in the education it offers. It has been one of the most agile Departments in the University in the way it has developed in response to the world around us. This is most clearly evidenced in the successive addition of the subject areas Film, Theatre Studies, Creative Writing and now Journalism. All these areas are connected with each other and with literature by the nuanced and fine-tuned scrutiny of language; by asking big ethical and political questions; by examining how "story" structures our understanding of the world around us, and, indeed, what it is to be human. Our research is multi-disciplinary but is organically connected through themes which cross subject borders: literary and theatre histories, and geographies; creative practices in writing and film-making; questions of home, belonging and migration; climate, environment and the post-human; rhetoric, language and the construction of narratives; propaganda, media and truth; technology and communication; literary heritages and our understanding of our global histories; national and other identities as mediated through language, imagery and story. The Department of Literature, Film and Theatre Studies are seeking to appoint an inspiring, lecturer and researcher. The main duties of the role are to research and teach literature at both undergraduate and postgraduate levels, with particular expertise in modernism and post-modernism. The ability to teach across both literature and film, and to offer teaching and/or research interests in any or all of the following areas would be an advantage: science fiction, critical theory, Irish literature. The successful candidate will be expected to engage effectively in substantive teaching and learning support roles in the Department; design, plan and deliver learning across a range of modules in creative and innovative ways appropriate to the subject area and level and to develop a research agenda which pursues individual and/or collaborative research objectives. In addition, you will supervise student projects, fieldwork and placements, supervise postgraduate taught students appropriate for the discipline, and contribute to the general administrative duties in the Department. A full list of key responsibilities and main duties (Education, Research and Leadership and Citizenship) can be found within the job pack. The successful candidate will have a relevant doctoral level degree in Literature and will have fellowship of the Higher Education Academy or the ability to gain professional recognition at this. You will have proven experience in teaching at undergraduate and/or postgraduate levels, or demonstrable potential to engage in teaching and learning support, along with a sustained engagement in continuing professional development in relevant subjects/disciplines and their pedagogies. Strong communication skills, both written and verbal are essential for this post, along with evidence of a clear publication plan for submission to future Research Excellence Framework (REF) programmes. Please note that appointment to this post will be made on an ASER Lecturer contract. Please see the further detail link below for a full job description and person specification which outlines the full duties, skills, qualifications and experience needed for this role plus more information relating to the post. We recommend you read this information carefully before making an application. Applications should be made on-line, but if you would like advice or help in making an application, or need information in a different format, please telephone the Resourcing Team (01206 873461 / 874588 / 873521).